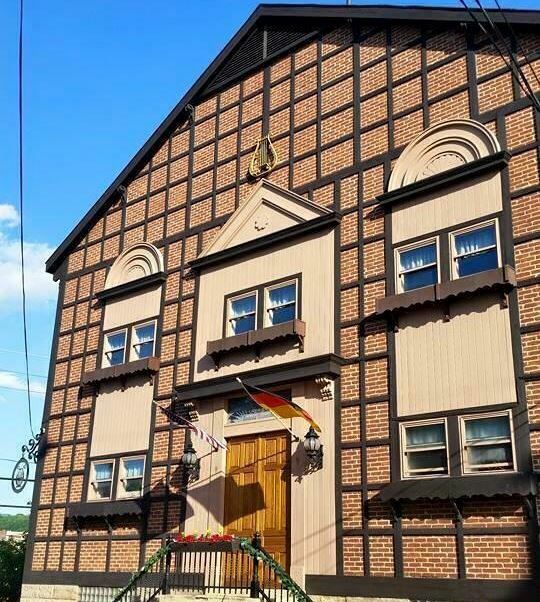 The building was designed by architect George Ott in a style reminiscent of German half-timbered structures. Completed in 1888, this type of German architecture, called “Fachwerk,” has been maintained throughout the years. See the "Sangerhalle", Society flags and memorabilia on display. Enjoy the "Goose Girl and the Castle" mural and hand-carved "wappeis" (seals) and German quotes. Be sure to check out our Biergarten, where drinks/food are available for purchase. The Teutonia Männerchor is a private membership club with the purpose of furthering choral singing, German cultural traditions and good fellowship. The singing society was founded in 1854 for German singing. The building was built in 1888, with the hall used for singing and special events. In the 1930’s the basement was excavated to become a traditional ratskeller.